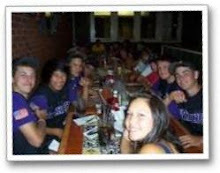 Tyler devoted time this summer to helping coach the Lake Stevens Viking Junior A Legion Baseball team to a new ‘08 State Championship Title - won earlier this month in Spokane, WA. A UW Business School student named to the University of Washington Deans List in 2008, Fiske was the first Letter of Intent Signee under Shoreline Community College Coach Steve Seki , where he played NWAACC Baseball while earning his AA Degree. Fiske’s achievements include being named to the 2007 NWAACC ALL STAR and ALL ACADEMIC Baseball Teams, Shoreline Community College Baseball MVP and Male Athlete of the Year. This LSHS Alumni was named to WesCo North First Baseball Team as a Lake Stevens Viking in addition to playing for NW Baseball Academy during his High School years.